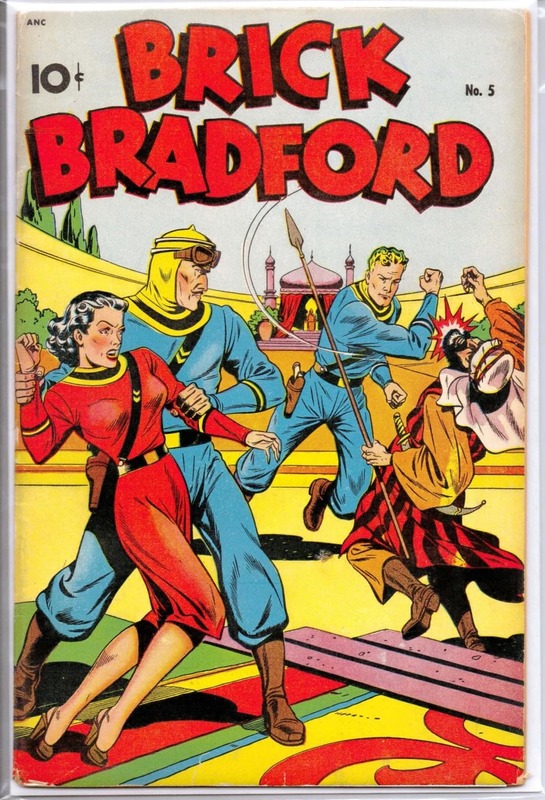 Brick Bradford was an adventurer in the time honored space opera way perfected by Captain Kirk of Television’s Star Trek fame. 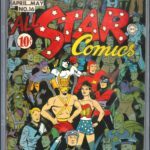 He also closely resembled other contemporary comic characters such as Buck Rogers and Flash Gordon. 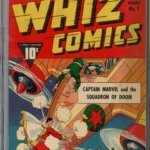 Brick Bradford #5* bottom left was published July 1948 by Standard Comics. 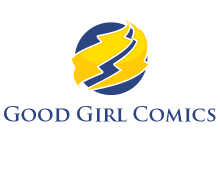 Despite being issue #5, it was actually the first of just four other issues Standard Comics produced. 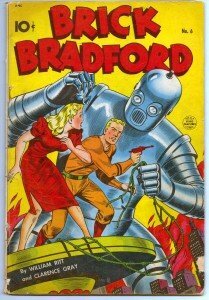 It was followed up with a classic Schomburg robot cover on #6* (top left) in October 1948. 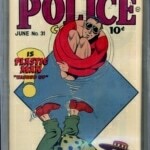 These comic books were reprints of the newspaper strip runs. 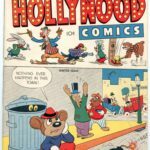 Like many comics of the era, Brick Bradford was also a daily and Sunday newspaper comic strip. 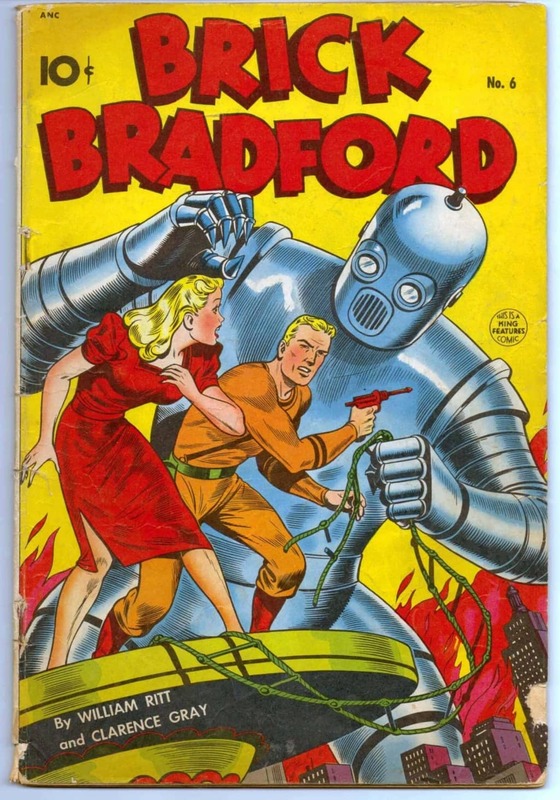 Created by writer William Ritt (a Cleveland journalist) and artist Clarence Gray, Bradford was started in the early 30’s and not retired until April 25, 1987. 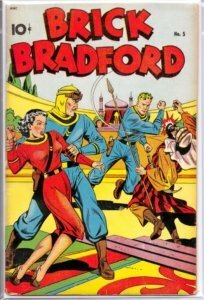 Many Bradford sagas included dinosaurs, interplanetary desperados, robots and extraterrestrial worlds. 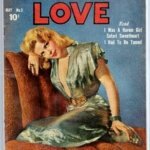 With story titles such as “The Fortress of Evil,” “The Duel to the Death,” “A Date With Doom” and “A Feud With Fate” Bradford’s efforts to rescue a damsel in distress on these covers still get noticed sixty-five years later.